Vladimir Putin has crafted a clever position vis-a-vis Ed Snowden, acknowledging he's more a civil rights activist seeking asylum than anything, while emphasizing the Russian intelligence services have not worked with him and have no real reason to do so -- not counting the above high profile "exchange" (not in real time) of course. Putin also thinks the District was overly aggressive with its attempts to track him down, which somewhat forced him to find protection in Russia. That had not been the original plan. Minus any extradition treaty with the District of Columbia, which Putin claims Russia has offered to institute in the past, only to be rebuffed, there's no mechanism in place to get wanted criminals returned to Russia. I also finally tuned in John McAfee and his Libertarian party candidacy. 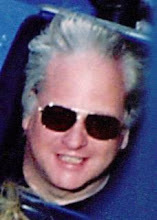 What an interesting guy right? Former NSA (and CIA) chief Hayden takes a position far closer to McAfee's and Apple's than the FBI's. Mining Youtube and the rest of the Internet is rewarding when it comes to following a lot of threads. My hypothesis is the US presidential race has become more farcical in proportion to individuals not trusting they're getting truthful information on so many important topics. Nixon-Kissinger's secret bombings in Indochina were big contributors to the breakdown in trust, although the Kennedy assassinations really got the ball rolling. Average people came to realization that lies are the common currency, not truths, at the "highest" levels (whatever that means). That was a paradigm shift. Taken to its logical conclusion, we get what we see today: candidates without the context of gravitas. Gravitas sans Veritas is mighty hard to sustain over the long haul, lets put it that way. We could go back to the Business Plot and Smedley "War is Racket" Butler for more grist for the mill. Another reason the political sphere is leaking gravitas is people without much of an engineering background may come across as insufficiently literate in the computer age. Many senators recognize this as a problem. The foray of legislative bodies into crafting a "Common Core" thereby politicizing STEM content in particular, has made them easy targets for critics. Why should people this ignorant be making the rules? I tripped holding the dog this morning, or slipped, in the mud. Dang, first day with these new Tactical brand trousers (got 'em in both black and tan), from Andy & Bax, local army surplus on Grand, across from Miller paint. I've shopped at Andy & Bax before, getting into various paramilitary looks. I'm eyeing a certain Boot Camp opportunity, plus the whole software developer community is already crazy with "coding dojos" and other talk of "kung fu" or is it "foo"? The point being: not my invention to inter-mix coding and mom & pop martial arts studios. They co-exist in Portland, as a part of our demographic. So my other point is my shopping is with a purpose. I'm branding in a sensible way. Carol's road trip continues. She and Ellen Thomas are enjoying a brief stopover in rainy River City before heading north to Seattle. 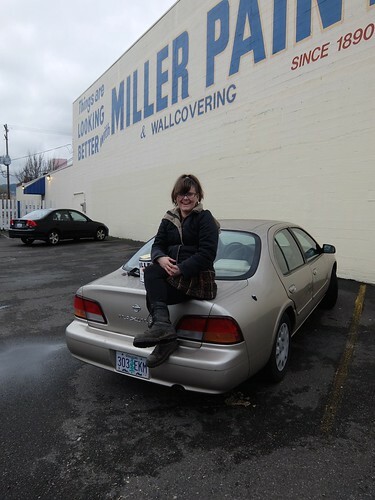 They've been traveling north from southern California, stopping all along the way (most recently in Corvallis) to meet with people regarding Womens International League for Peace and Freedom (WILPF). People usually just say "wilpf" which is actually pronounceable. I've been paying bills and taxes left and right. Ever since I had a dependent in college I've been filing early in the year instead of April, like I used to. I'm back to having a Schedule C and tracking expenses, so that 1099s work easily. That's 2016 however. 2015 was relatively easy and more or less a repeat of 2014 (talking taxes here, regional, state and federal). The WILPF campaign is connected to the long-running Countdown to Zero, which as been ticking away for some years. That Zero is not a reference to Ray Kurweil's Singularity. but rather to a strategic military goal of moving humanity past the suicidal stage. Some top military minds, not just peace-niks, have been working on the problem for quite awhile. The so-called Intelligence Community has nothing better to do either (Valerie Plame narrated the above movie), especially counting the cadres of officially retired personnel. Not surprisingly then, the work is bearing fruit in some areas. A goal of "zero" remember, refers to eliminating the threat of Weapons of Mass Suicide (WMSs), most of them nuclear. A main enemy is carelessness, awkwardness, and general incompetence, an enemy hard to overestimate. Evil is indeed banal. The official title of this 1980-made science fiction movie is in Japanese, and translates to The Day of Resurrection, which was how I found it on IMDB. 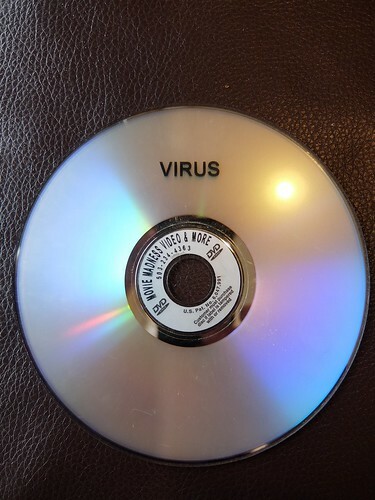 However the DVD-R cover at Movie Madness loudly said Virus was the title. Either will do. The film is aimed at a Japanese-speaking audience in that the subtitles came on, in Japanese, when the dialog was in English, which happened quite frequently. Robert Vaughn and George Kennedy are among the star-studded cast, in a movie about the end of life on Earth is we knew it, circa 1982. When the characters spoke Japanese, no subtitles appeared. This DVD-R was without menu or settings, ditto The Devil's Eye pulled from nearby. The film may be seen as a form of protest against the Sword of Damocles still hanging over humanity, threatening it with self-inflicted uber-damage. Prophecies of war tend to be self-fulfilling if allowed to gather stream unchecked by diplomats, and in this scenario, Earth is placed on a hair trigger which we learn an earthquake will soon set off. Meanwhile a lethal virus, a plague of plagues, is unleashed from one of the government labs. The spread of this "Italian flu" is what prompts a loony general to arm the system, meaning the Soviet retaliatory strike will take out even Antarctica, a last holdout for humankind. Sending bold volunteers into a Washington DC devoid of human life, in a last ditch effort to turn off the computer, provides a climax before the denouement. The film is epic in that it attempts to chronicle not only the end of contemporary civilization, but the beginning of a new one around a nucleus in Antarctica. When even that doesn't work out, yet another chapter is begun, suggesting the rRNA (ribosomal RNA) of future humans, if successful in rebooting, will trace to but a few moms. The film could go on from there of course. A vaccine is emerging. How much of a civilization might a tiny group of specialists pass on, a dimmed holograph, a fading cameo of all that had gone before? We're not quite back to Adam and Eve. We lap up against that story, a next epic, after two and a half hours of witnessing our world die. Clearly it takes lifetimes, not merely epic films, to really get the job done. Passive spectators get kicked into the sunlight to play some active role perhaps, as the world turns. The cast and crew had easy access to submarine technology. That periscope didn't look like a mock-up, even if it looked dated. Interior shots from an actual museum piece sub appear inter-cut with stock footage, lots of arctic scenery. Reminding us of the planet's great natural beauty is a part of the message to not crash it. In the Antarctica chapter, the few remaining bipedal mammals confront their heritage of ingrained nationalism and sexism. Why should the Admiral assume he's in charge? Given that males outnumber females by a large ratio, what policies should be implemented. Naturally, a premium is placed on having babies, regrowing the human race. Many social conventions, accepted in 1980, may need to be revisited in light of the new realities. Given we humans are creatures of habit, survivor stress levels run high, to say the least. Future shock proves mostly nasty and high voltage. Is Mad Max any less exhausting? The sound track is somewhat choppy and I'm not referring to the diversity of spoken languages. I found myself jarred by the transitions sometimes, surprised by a choice of music for example. But then the subject matter is about a degenerative species that can't get its timing right or self direct effectively. These unfortunate humans appear herky-jerky in their death throes. Have other planets fared better? We save this cosmic question for other films.